Stop in for some homemade ice cream and Bar-B-Que! We will be back for the 2019 in February! Almost every weekend, community groups, teams, and schools use the Arnie's Place parking lot for car washes to raise awareness and money! 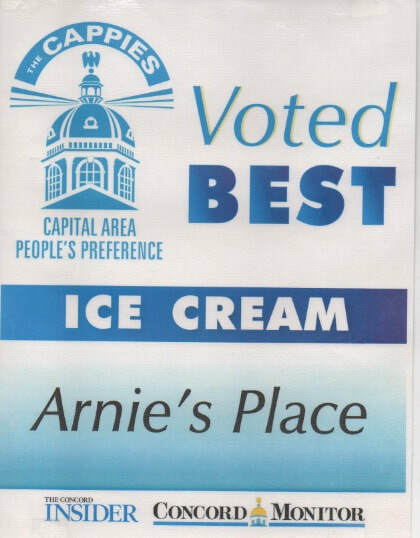 Last year Arnie's Place donated​ hundreds of gift certificates to great people and organizations! Arnie's Place is also available to help your team or organization with wreath sales come winter as well!